Awesomeism: Ten reasons why Autism rocks – Do you speak Autism? 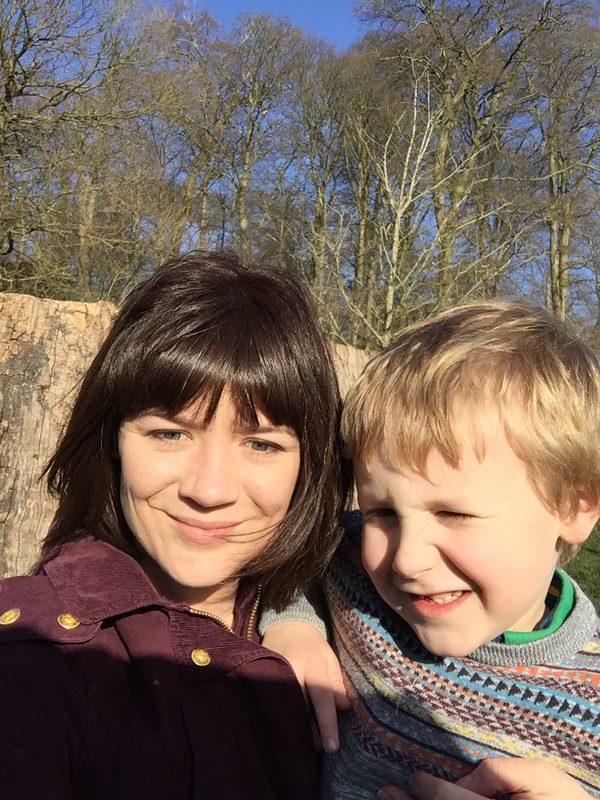 I recently came across a blog post written by a fellow autism mum, which took a humorous look at the perks of having a child on the spectrum. I enjoyed it so much that I shared the post on my Facebook page, whereupon people automatically assumed I had written it. This made me think. Yes, having a child with autism can be hard, but do I slip into complaining mode too often? Why had it never occurred to me to write an Autism top ten? Once I sat down and thought about it, I realised it really wasn’t hard for me to come up with ten things I love about Autism. 1. A smile or a cuddle from James is the highlight of my day..
…because social interaction doesn’t come naturally to him. When James shows affection, he really means it. James is actually an incredibly loving little boy but he reserves this for the people who are most important to him. Being one of those people feels very special. The upside of James’ limited social awareness and imagination is that he doesn’t really possess the ability to be manipulative or deceitful. To be naughty or unkind requires an understanding of social expectations, and of the impact of your actions on others’ feelings. While James’ behaviour can sometimes be challenging, it is never malicious. ..because we have to work harder and wait longer for them. Being called ‘Mummy’ for the first time is special for anyone, but when you’ve waited until your child is nearly four to hear it, there are no words to describe the elation. Using the toilet, drinking from a cup, learning to feed himself, peddling his trike; each small achievement a cause for huge celebration. 4. I’m a parenting master and have the badges to prove it. I’m currently attending my third parenting course to date. At first, I found it insulting to be asked to take these courses, but now I say, bring it on! Children don’t come with a manual and we can all learn from each other and ‘up our game’ as parents, so I’m lucky to have the opportunity to do this. There’s no shame in accepting help when it’s offered to you. 5. I take less crap from people than I used to. I used to be the sort of girl that meekly nodded along and never rocked the boat – it was too important to me to be liked. Having a child with a disability has brought out the fighter in me and I’m much less concerned about what other people think of me. My son’s welfare is more important than my social hang-ups. As a result..
6. James gets the best education money can buy. It was a struggle, requiring a lot of persistence on my part, but James now attends a wonderful special needs school, where he is taught in a class of just seven children. It’s often crossed my mind that even if I were super rich it would be difficult to find another school that offers the classroom ratios and tailored support that James receives, and his resulting progress is clear for all to see. We’re so lucky. 7. We get celebrity treatment at the airport. I used to feel embarrassed about requesting special assistance for James, because he doesn’t ‘look’ disabled, but I am over this now. People may give us funny looks as we are fast tracked through security and given priority boarding, but if they only knew what their eardrums had been spared they would thank me. I’m not going to lie, though.. not being renowned for my patience, I’m not sad about bypassing the queues! 8. My clothes are always clean. 9. I get to be a stay at home mum. Like most mothers in this day and age, I returned to work after having my boys. I loved working, (especially getting dressed up and drinking cups of tea whilst they were still hot), but getting a work/life balance right when you are a working mum is almost impossible. James’ diagnosis changed everything: the level of care he requires means that working is no longer an option for me for the foreseeable future. I wouldn’t have chosen to give up work, but in hindsight I am grateful every day that the decision was taken out of my hands. 10. He has helped me to make a difference. I started writing to help others see that beneath disability, there are real people who deserve the same opportunities in life as everyone else; but James is my raison d’etre – my inspiration stems from the same protective instinct that all mothers share. I had never entertained the idea that I might have a child with a disability. Let’s face it: it’s something you think of as happening to other people. I didn’t see myself as a strong person that could cope with something like that. Perhaps it is because Autism doesn’t reveal itself in the first year of life that I have never thought of James as anything other than normal. He may seem different to other people, but he is my normal. I don’t think of myself as this ‘strong’ person that has to ‘cope’. I’m just a mum doing the best for my little boy. This entry was posted in Autism, Parenting and tagged #ASD, #parenting #autism #autisticspectrumdisorder #disability, #SEN, Autism. Bookmark the permalink.